Hernias and abdominal wall defects can benefit from the immediate and long-term strength provided by biological grafts. This particular graft uses small intestinal submucosa technology, which provides support as it is completely remodeled into patient tissue. The patient’s body fully remodels the graft and no foreign material is left behind. 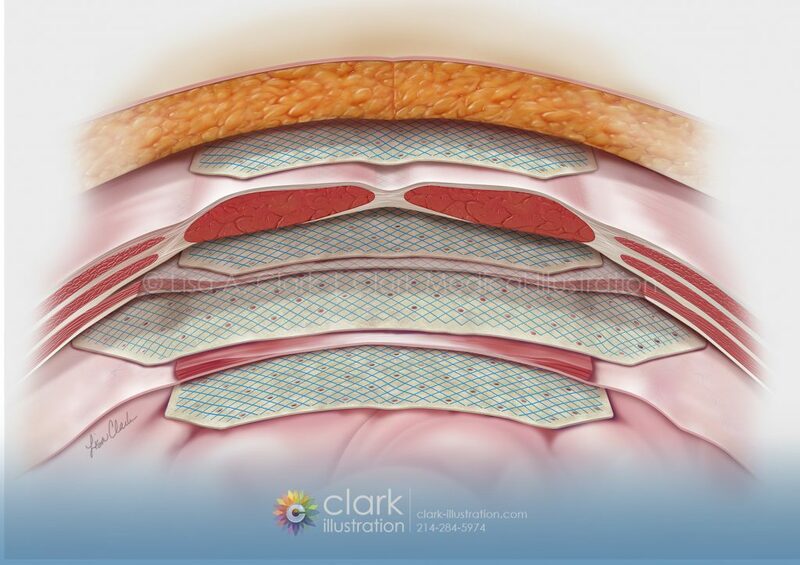 The image was used by the graft manufacturer to show placement options for the hernia graft including onlay, retromuscular, preperitoneal and intraperitoneal placement.